These SPI Y pipes are a direct bolt on. This SPI Y pipe will increase HP by 2-10hp depending on Y pipe application. No jetting will be required. 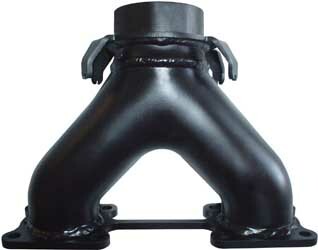 Y Pipe is high temp black coated.